Get 10 pcs Gulab Jamun FREE on all orders above 1000! Kindly add Gulab Jamun in your cart & then apply the Code! 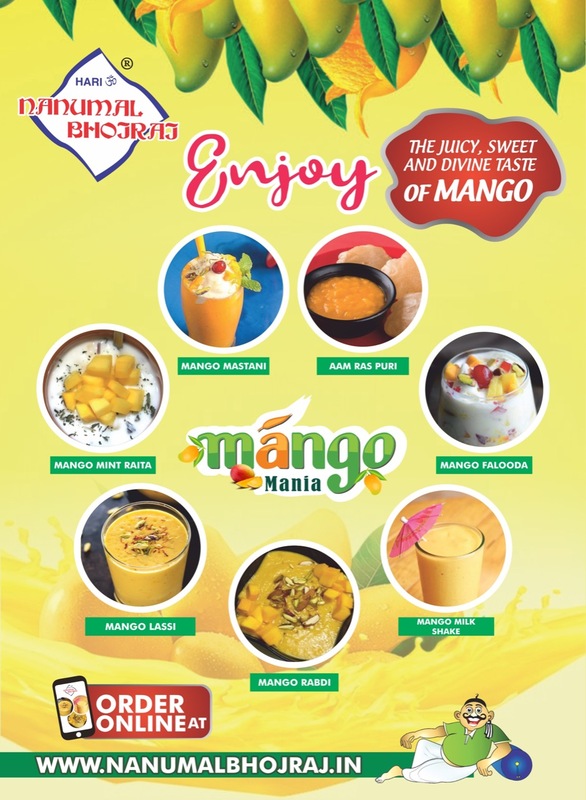 Nanumal Bhojraj Restaurant have their presence of nearly 60 years in Mumbai and their mastery in crafting mouth-watering delicacies dates back to early 1940s, when they had their outlet in Shikarpur (now in Pakistan) specializing in Sweets & Snacks. 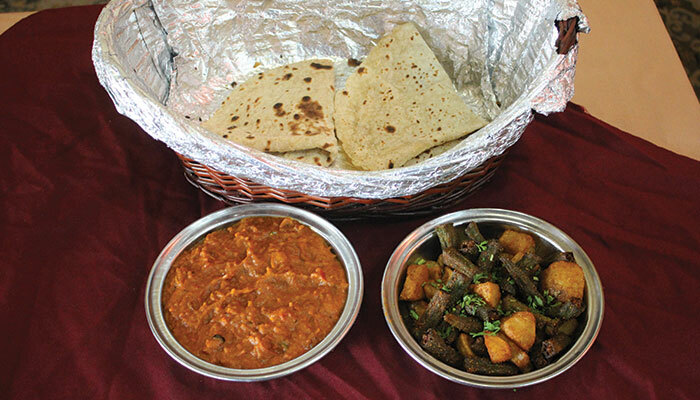 From delectable North Indian cuisine to the royal Mughlai cuisine, we have assorted an elaborate spread of dishes. 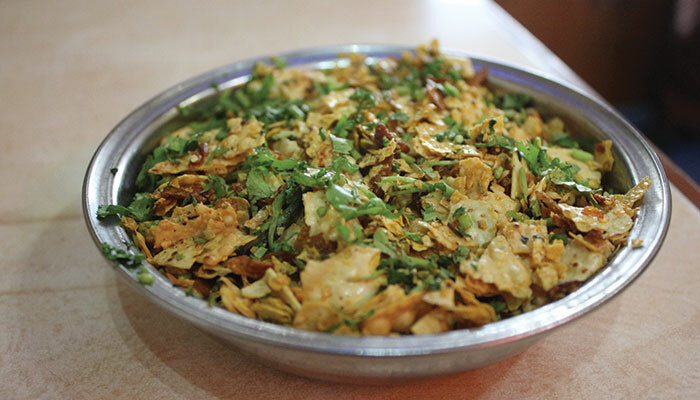 At Nanumal Bhojraj we do not compromise with our quality thus every bite of our food will be authentic and fresh. The simple fact that ingredients and flavours are of supreme quality, used in appropriate quantity, make our food perfect and worth ordering again and again. Mr. Bhojraj N. Gaba started this business in the year 1953 at Masjid-Bunder (market-hub of South Mumbai) on the auspicious day of Mahashivratri. He started it specializing in Mithais (Sweets) & Snacks .During 1960s & 1970s he had bagged the contract of major theaters in Mumbai for supplying quality Punjabi Samosas. Reinforcing healthy lifestyle with our carefully crafted menu. 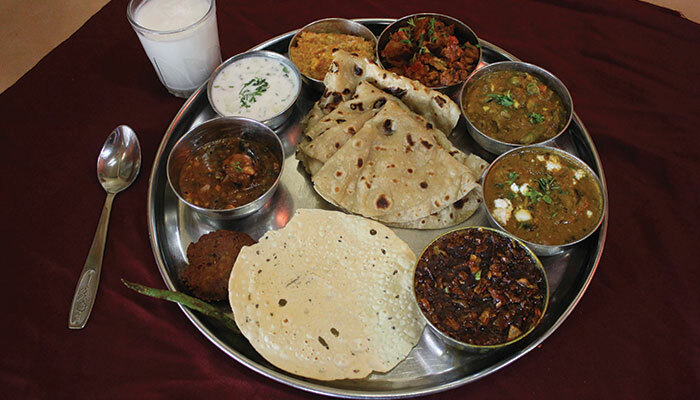 For an enriching experience delve into our fresh and wholesome meals. 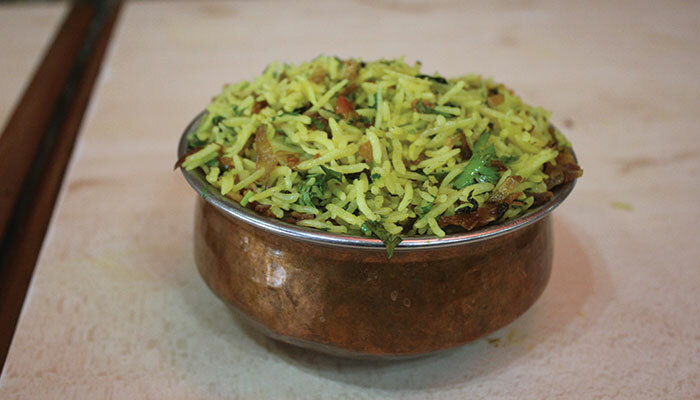 A combination of potatoes and Bhindi cooked separately and combined together with spices. 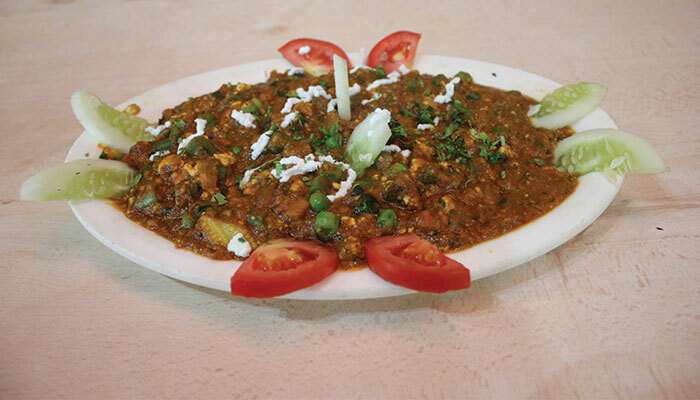 North Indian food recipe prepare with green peas and cottage cheese that are cooked in a creamy tomato based curry. 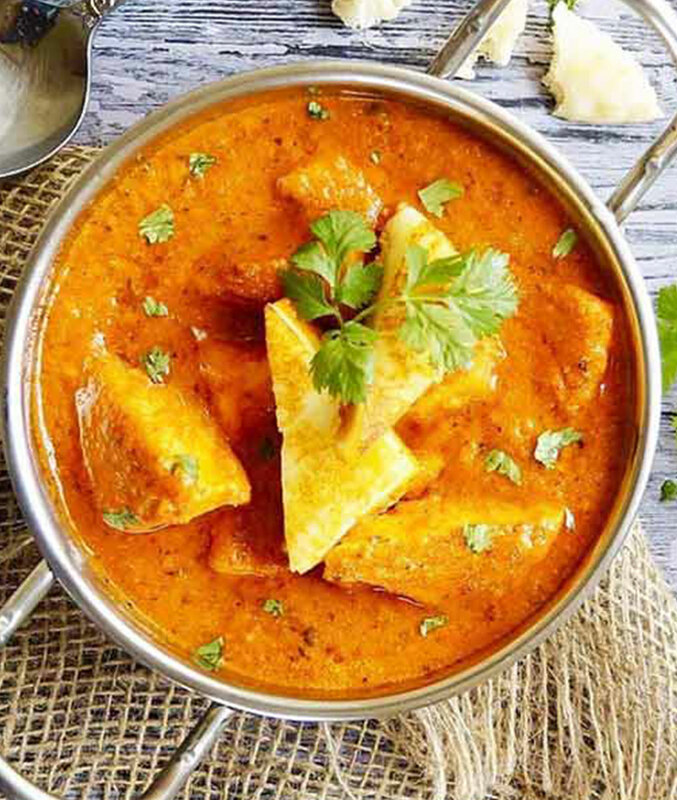 Consisting of a thick vegetable curry fried. 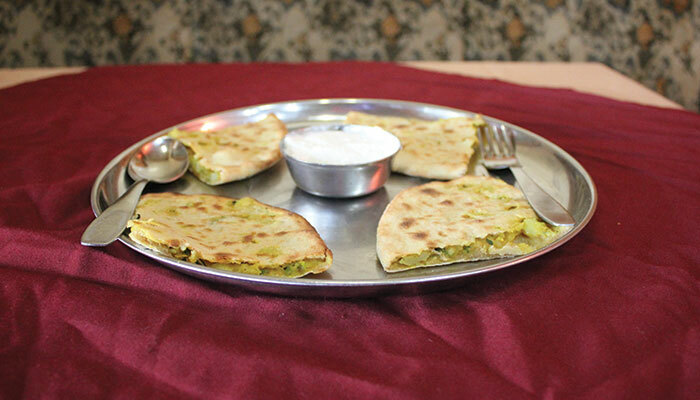 Sumptuous whole wheat parathas are stuffed with a delectable mixture of potatoes flavoured with fenugreek leaves, cumin seeds and spice powders.